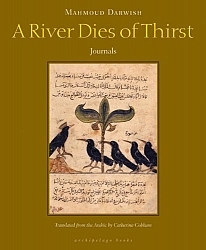 This remarkable collection of Mahmoud Darwish’s poems and prose meditations is both lyrical and philosophical, questioning and wise, full of irony and protest and play. “Every beautiful poem is an act of resistance.” As always, Darwish’s musings on unrest and loss dwell on love and humanity; myth and dream are inseparable from truth. “Truth is plain as day.” Throughout the book, Darwish returns frequently to his ongoing and often lighthearted conversation with death. Mahmoud Darwish (1941–2008) was awarded the Lannan Prize for Cultural Freedom in 2001. He was regarded as the voice of the Palestinian people and one of the greatest poets of our time.